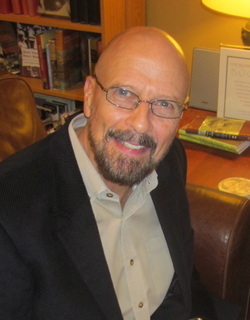 Larry Stone is an author and publisher. The Story of the Bible was a finalist for both the ECPA Christian Book Award and Retailers Choice Award and named “One of the 10 best Christian books of the year” by Assist News Service. He also wrote Women of the Bible (Hudson). Larry and his wife, Lois, have two sons – Brad and Geoff – and eleven grandchildren. They are also "grandparents" to eleven others. They live in Nashville, Tennessee, and Kattskill Bay, New York.